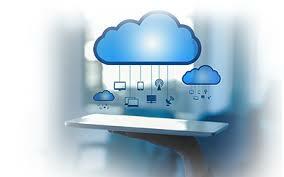 The opportunity for business and IT leaders to take advantage of cloud computing has never been greater. Like any new technology, it takes time for business (and hence IT) strategists to become aware of, and then take advantage of, cloud computing services. The rapid growth and unmatched scale of AWS makes this technology platform a natural choice for mission critical applications like SAP. Understand the business requirements; we recommend that you treat cloud migration as part of a program that enables business outcomes rather than viewing the migration project as a standalone IT goal. That way, companies can extract the maximum benefit by transforming their IT application portfolio to drive more value for the business. Create a well-defined plan for migration; In creating a plan, companies should consider key areas that influence their ability to tolerate risk and shape their business resilience plan, whether it be data management, security, disaster recovery or backup and recovery. Vendor support; there is a long history of collaboration between SAP and AWS. SAP runs many of their internal applications on SAP, thereby contributing to building critical mass of knowledge required for success. Platform sophistication; just like on premise platforms, cloud platforms have to have the right attributes to successfully deploy business applications in the cloud. Moreover the cloud platform has to be fed by an innovation engine that delivers value for customers and partners and reduces the price of IT infrastructure. AWS excels in this area, having delivered over 243 updates to its platform in 2013 and 40 price drops since 2006. Security and network predictability; SAP business workloads need appropriate security measures to ensure that sensitive data is protected. AWS features like VPC, firewall appliances, VM encryption tools for EBS, security groups, network ACLs help architects ensure that their AWS cloud implementation conforms to their Enterprise security requirements. Since SAP systems are normally accessed by internal corporate users, predictable low latency network connections may require the use of Direct Connect, an AWS feature that enables on premise users to have private network connections to their VPC environments. SAP Disaster Recovery in AWS; traditional approaches to Disaster Recovery usually involve either array-based replication or software-based replication. Both approaches assume building identical or similar IT infrastructure in a remote data center, thereby adding to IT capital costs and broader support requirements. Disaster recovery in AWS can decrease your risk by providing geographic diversity for your applications, an objective that can be challenging to achieve using traditional hosted data center environments. SAP QA / Development environments in AWS; Development and QA regions tend to have lower infrastructure utilization metrics when compared to Production landscapes. These environments may be well suited to AWS deployment to take advantage of On Demand, Reserved or Spot instances, ensuring that you pay for what you use and maximizing valuable IT infrastructure resources. Hybrid Deployment; companies may their core ECC environment on premise and migrate loosely-coupled applications like SAP Business Planning and Consolidation (BPC) to the AWS cloud. This can enable a decoupling strategy that enables faster time to value and agility. Proof of Concept; companies frequently have the need to prove the business and technology benefits of an SAP upgrade, new SAP product or technology such as HANA. However, long lead times to order hardware and infrastructure can inhibit or curtail these initiatives before they ever start. With SAP on AWS, you can innovate without incurring significant up front costs or risk.